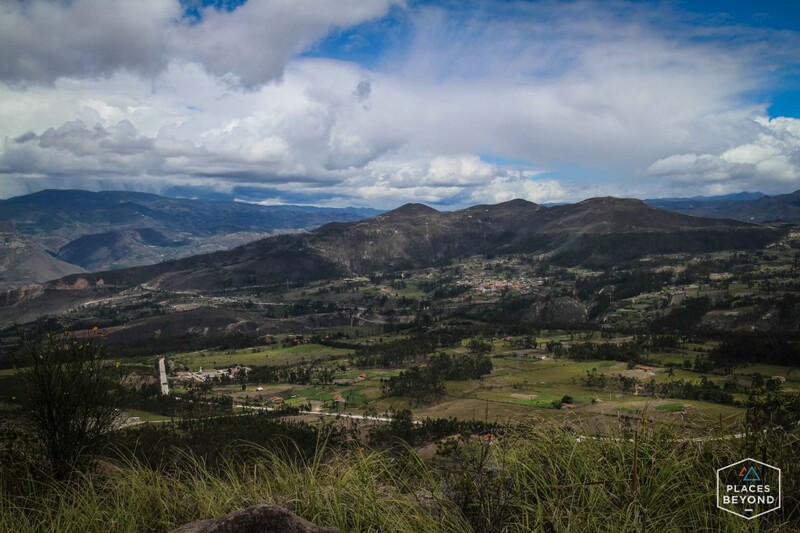 I was looking over a calendar and wanted to get down to Peru sooner than later so it was time for me to move on. Ecuador has been good. I could definitely stay longer and see the coast, the Galapagos islands and the amazon region. But that will have to be another trip. I had the bike loaded and when I turned the ignition the power shut off after a second. I thought maybe it was the battery but when I tried it again I was 99% sure I knew what the problem was. I bet it’s the ignition wire. I opened up the ignition and sure enough one of the wires was just hanging; the solder had broken. This is a common issue on this model so I was aware of the possibility. I’m surprised I made it back yesterday from El Cajas and am fortunate I was parked at an auto shop. Freddy runs Mr . Oil right next to AlterNative Hostel where I was staying and they let me park my bike there. 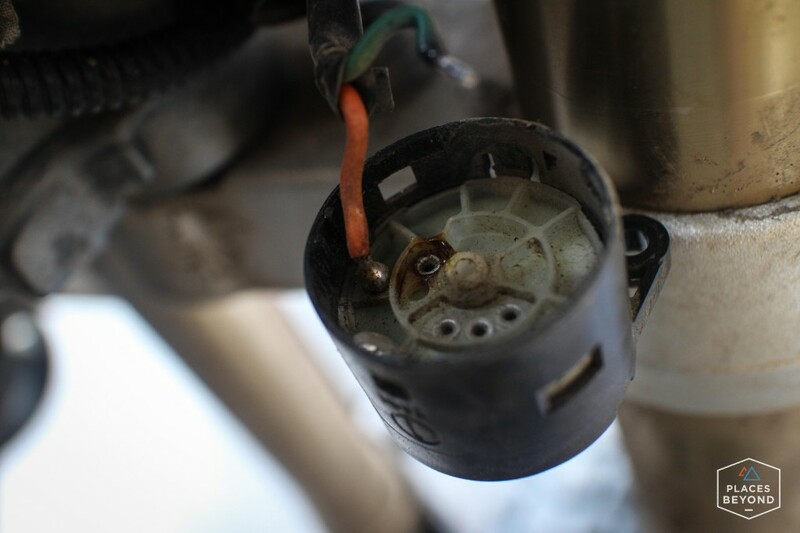 Freddy borrowed a soldering iron from a neighbor and we soldered the wire back on the ignition. It took a few attempts as it’s a complicated place to get a soldering iron. Freddy and I managed to get the wire soldered and I was once again ready to hit the road. 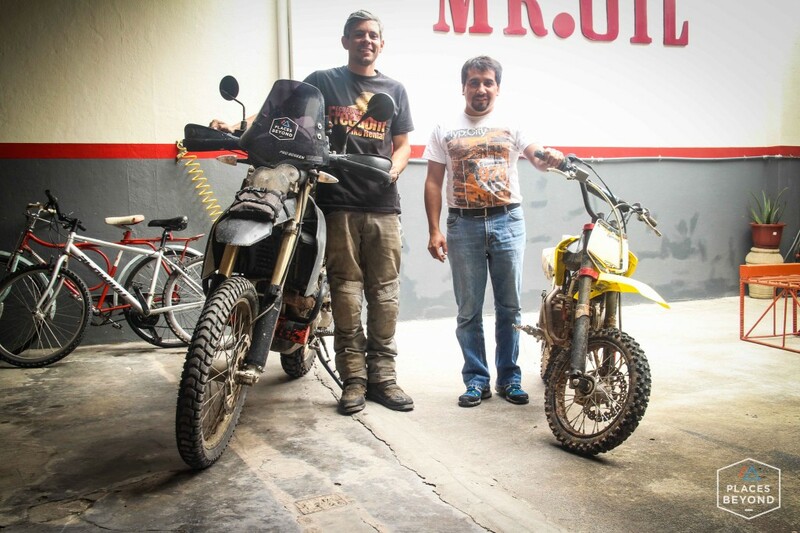 A big thank you to Juan at AlterNative Hostel and Freddy at Mr. Oil. I would have been in bigger trouble had this wire broke when I was somewhere on the road. Freddy and his mean dirt bike. 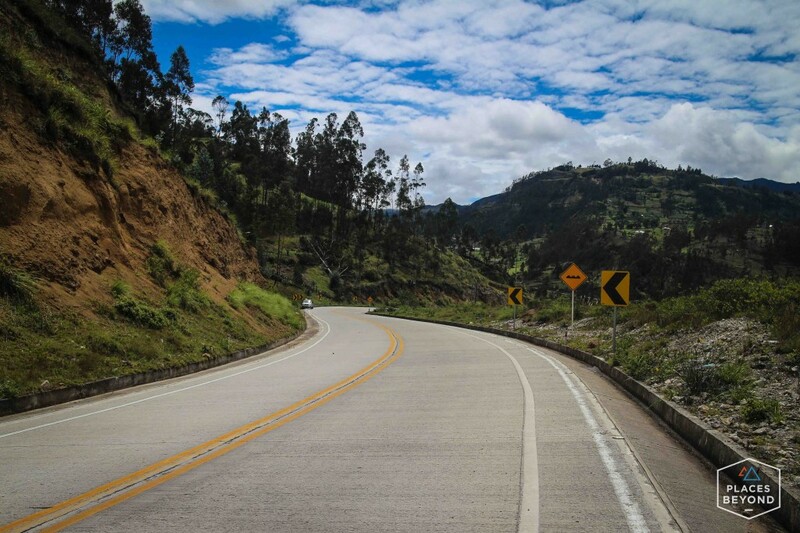 The road south out of Cuenca is the PanAm but it’s a nice ride. The sky threatened to rain but other than a few sprinkles for a minute it was a rain free riding day! I went from 11,000ft to 4,000ft back up to 9,000 and ended at 2,000. 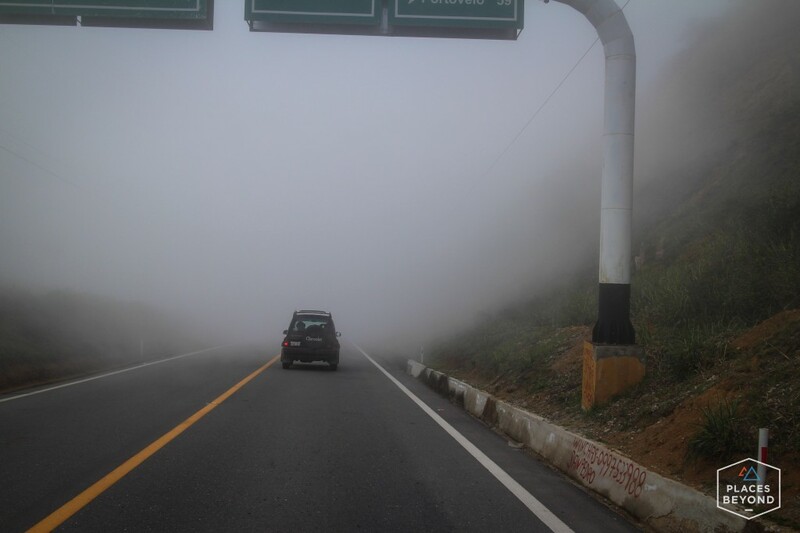 Coming around a corner in the mountains I rode into the heaviest fog. Visibility was maybe 5ft. I wanted to stop and take a photo in it but there wasn’t a safe place to pull over. It cleared a few miles down the road. The last 15 miles was a great ride in the mountains along the valley. Most of those miles were so fun. Little elevation change and the perfect curves to just cruise around. 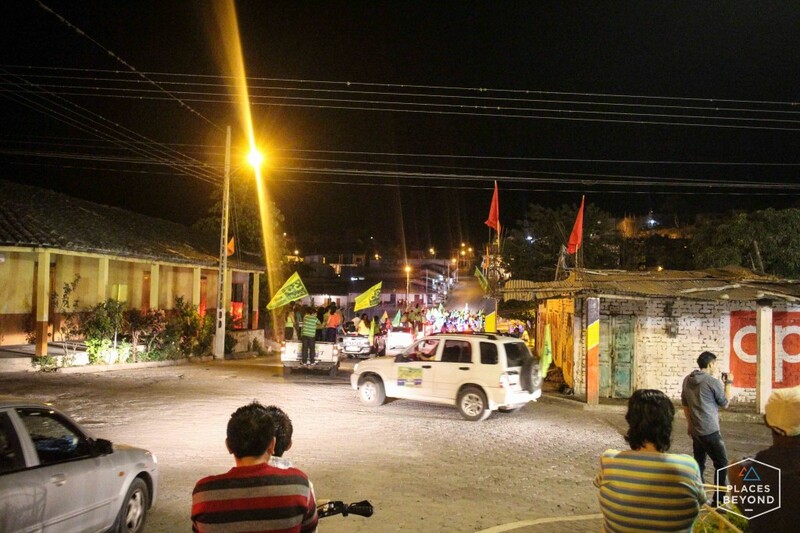 I arrived in Macara, Ecuador and found the Gran Macara Hotel to the left off the PanAm. $10 for a single room, cable, hot water, and secure parking. No wifi but it’s just a few minutes walk to town center where there are many Internet cafes. There were big political events going on on town. 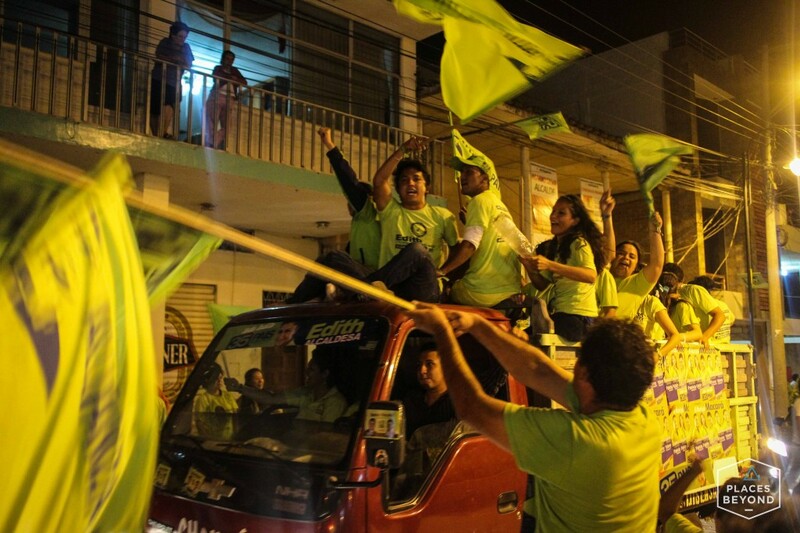 The Green Party and the Orange Party (not their actual names, just the color of their flags) The town was going wild till late in the night. They had parades for hours where cars just drove throughout the city honking their horns and waving flags. Later on there was a concert featuring a band, that by the reaction of the people were local pop stars. The people waved their flags and danced in the street. 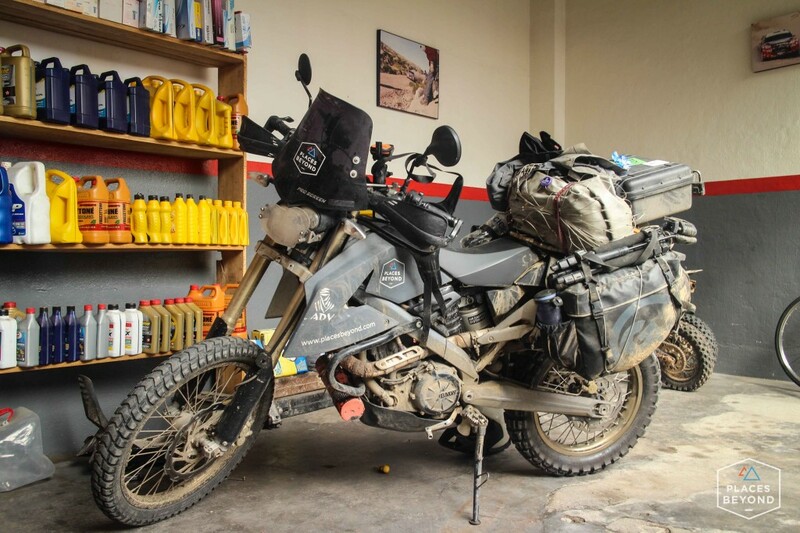 Man, I hope that Beemer can finish the trip…lol I see KLR’s ridden by locals in some of your pictures, Hmmm. The way people are so helpful is something we have lost in USA. To have a strangers help you fix your bike so many times, amazing. Ken, she’ll make it just fine. I’ve been riding with a guy on a KLR for a few weeks and we’ve spent a lot of time on the side of the road fixing it. I know it will…lol You know us KLR guys, spending money in hopes of making it a Beemer. Even buying the BMW sticker. Always good to see your post.